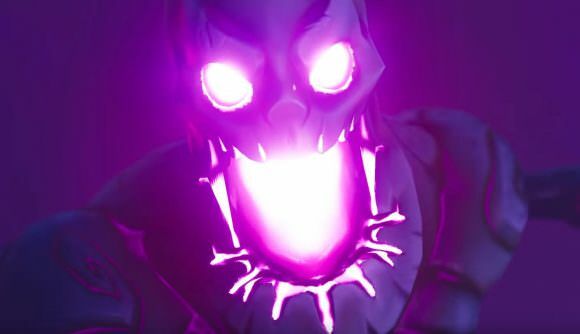 This year's Fortnite's Halloween event kicked off fittingly titled "Fortnitemares" with a bunch of new challenges and new Halloween themed cosmetic items. With the release of today's new update, the event is live across both the Battle Royale and Save the World modes, so no matter which flavor of Fortnite you prefer you can find something to do. Fortnitemares is an ongoing event lasting from October 23-November 26, introduced in the patch update 6.20. It offers exclusive cosmetic items and special world events with new enemies, including lots to do across its two modes. If you venture into the Special PvP mode playlist in the Battle Royale mode, you will come face to face with cube monsters that are very simliar to the Save the World creatures. The mysterious Cube spawned this legion of AI cube monsters, which will attack you if you get too close. Defeating them can get you some random loot and shield power. If you complete the challenges related to these special AI enemies, you can also earn new types of cosmetic items and special gear. There's also a limited-time weapon you can use! Below we list some of the Fortnitemares Battle Royale Challenges! Every few days the Fortnitemare challenges will alternate through the end of the event, so check back every so often to gain as many rewards as possible. Currently the first set of challenges is live. Many are self-explanatory, but click below for more detailed guides on more complex challenges. One of the best additions to the game during the event are some new permanent rewards, which includes an awesome new type of skins. It is fittingly named Deadfire, a reactive skin that changes based upon your play in a given match. The cost is a whooping 2,000 V-Bucks. It's joined by the Shackled Stone Back Bling and Dark Shard pickaxe (1,200 V-Bucks), which are both "reactive cosmetics." Make sure to check out everything this event offers and pick up some new skins on your way to a win!